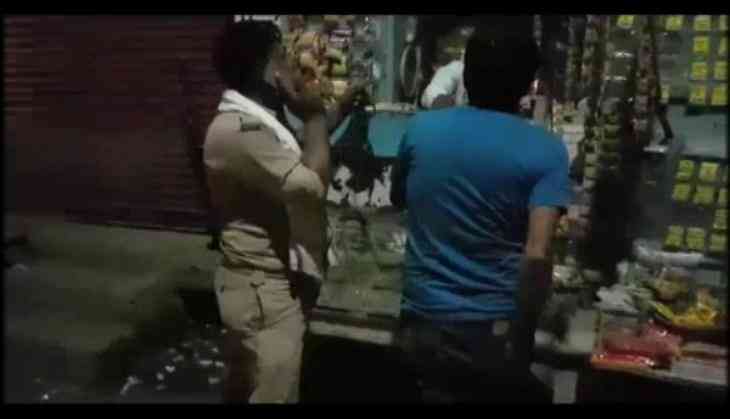 In a bizarre yet hysterical video making rounds on the internet, an intoxicated cop from Etah can be seen walking up to a rickety roadside kiosk and buying tobacco with a prisoner in handcuffs right along with him! Police constables Ravi Kumar Singh Yadav and Rakesh Kumar where taking Raju, an accused, to the district jail after the court hearing. The police constables not only drank alcohol with the accused but also asked him to buy cigarettes and tobacco for them. The misdeed of the duo was caught on camera of ANI.